Javier 'Chicharito' Hernandez will miss Bayer 04 Leverkusen's Bundesliga season-opener against Borussia Mönchengladbach after breaking his hand. 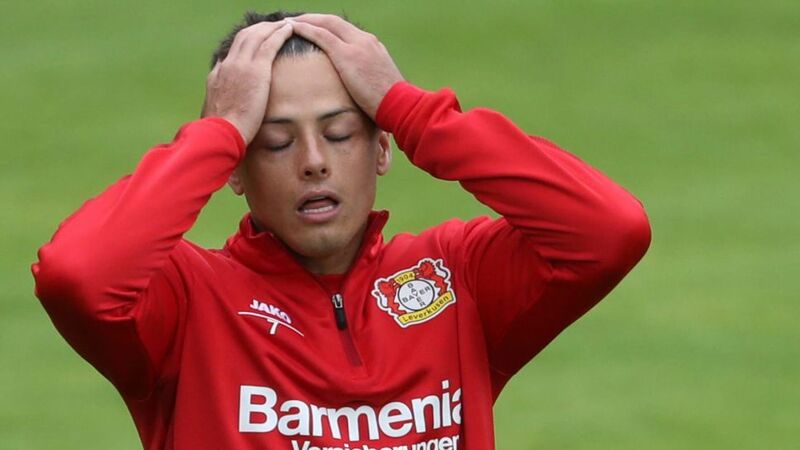 The Mexican, who top-scored for Die Werkself in 2016/17 with 17 league goals, fell down the stairs in his apartment, breaking a metacarpal bone in his right hand. He was operated on at a hospital in Merheim, and is expected to be available for action in two weeks' time. *Two weeks out. Get well soon! **Oh no! #Chicharito has fallen down the stairs and broken his hand. Chicharito is joined on the sidelines by Lars Bender. The club captain injured his ankle in helping Germany to their Olympic silver medal against Brazil on Saturday. Like Hernandez, Bender is expected to be available in time for the trip to Eintracht Frankfurt on Matchday 3.